Welcome to V/LineCars.com - the online resource for those interested in the day to day operations, carriages and railcars in service with V/Line - in the present, past and future! 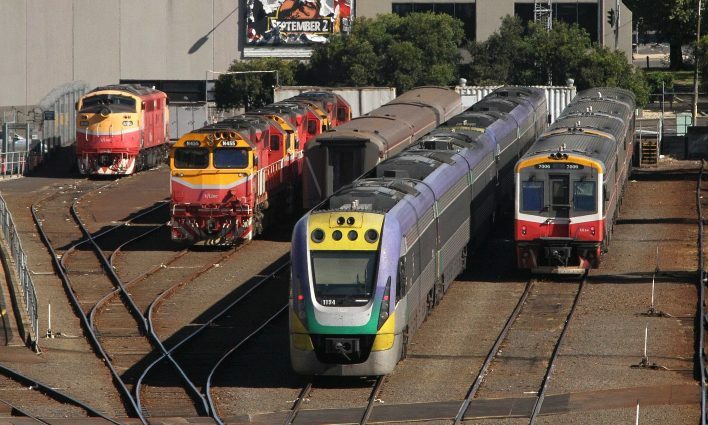 The retirement of V/Line’s fleet of A class diesel locomotives commenced with the April 2013 timetable change, when V/Line changed their working timetable to remove the need for their A class fleet to haul any passenger trains. On Monday, 24th September 2018 the first Public Transport Victoria liveried Sprinter railcar entered revenue service. As well as bearing the new livery, Sprinter 7012 also featured a modified interior layout. In August 2018 V/Line finally retired diesel locomotive A66, marking the end for the once 11 strong fleet of ‘streamliner’ A class locomotives used in Victoria. Here is a short look back at the life and times A66 has seen.